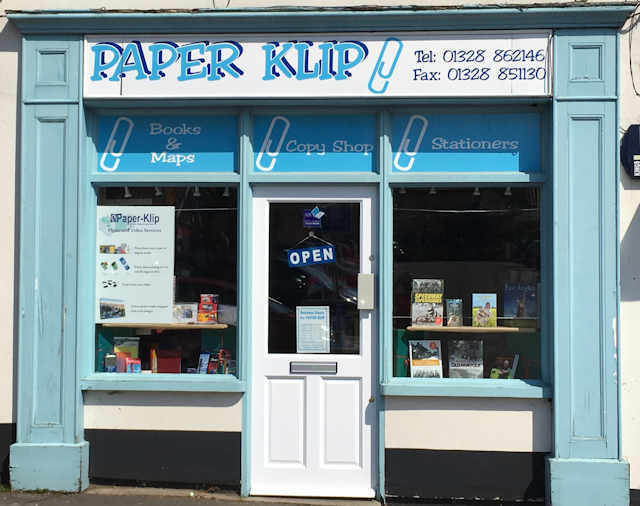 Paper-Klip is a small independent stationers which was established in 1980 and has continued to expand in many ways, but still keeping that friendly personal service that we think is important to all our customers. All our staff have a vast amount of knowledge and are there to advise and help all our customers no matter how small or large the job required. Come into store and see the vast range of stationery items we keep in stock, pens, envelopes, paper, staplers folders and files we stock them all. We also have a large catalogue of over 20,000 different items all of which can be ordered for next day delivery. We stock a wide range of ink cartridges inc Epson, Hp, Canon, Brother ,and if we do not have your cartridge in stock we can order it in for the next day. 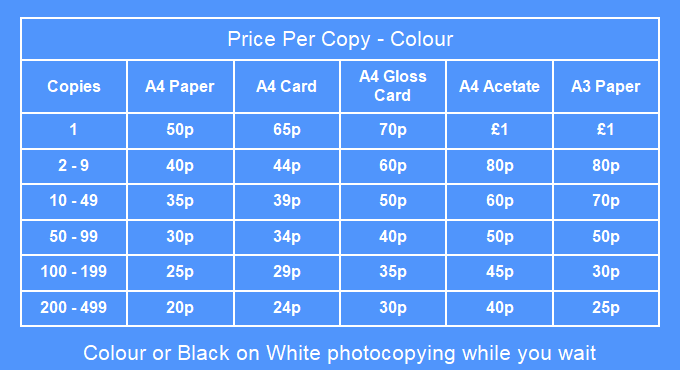 We offer a full photocopying service from black & white to full colour both up to A3 in size. 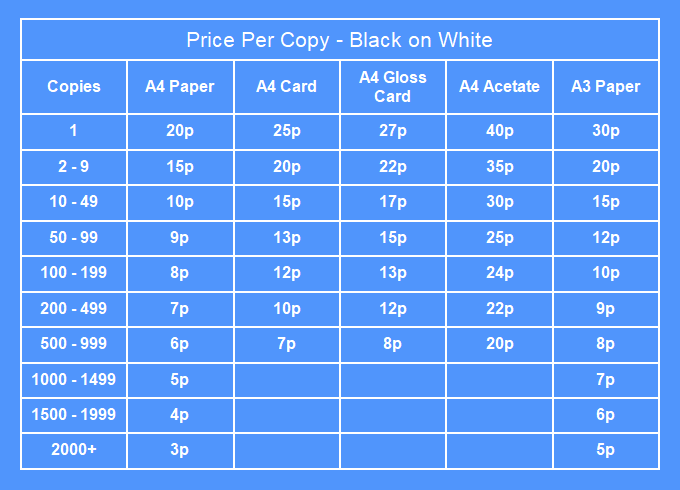 We can copy onto card, gloss card and acetate, please see below for price chart. We can also scan your documents for your and email them to your required source. Need your emails printing? Forward them to us and we will print them ready for your collection. We now offer a passport photo service which we take in store for you while you wait (no appointment necessary). Alternatively connect to the link below and produce great pictures from the comfort of your home and pick them up in store the next day. Also available from this link are great personalized canvas, mugs, cushions, key rings and much more. We are always available in store to help and guide you through this process to make it an easy and enjoyable experience. We stock a large and varied range of local books many by local authors from the area, and maps and town guides local to Norfolk. If you are looking for a certain book we have an efficient book ordering service available . We also sell and accept National Book Tokens.